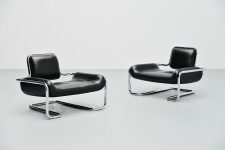 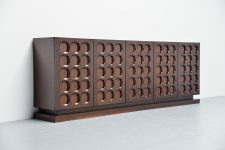 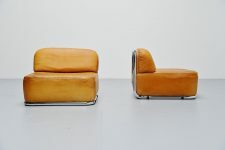 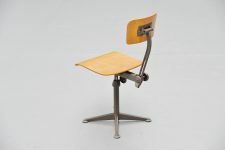 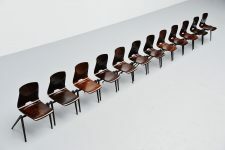 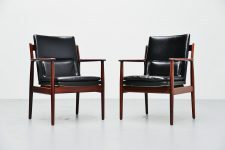 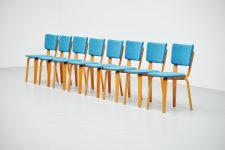 Very nice set of 8 dining chairs model 500 designed by Cor Alons & J.C. Jansen for Gouda den Boer, Holland 1949. 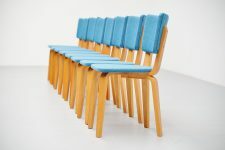 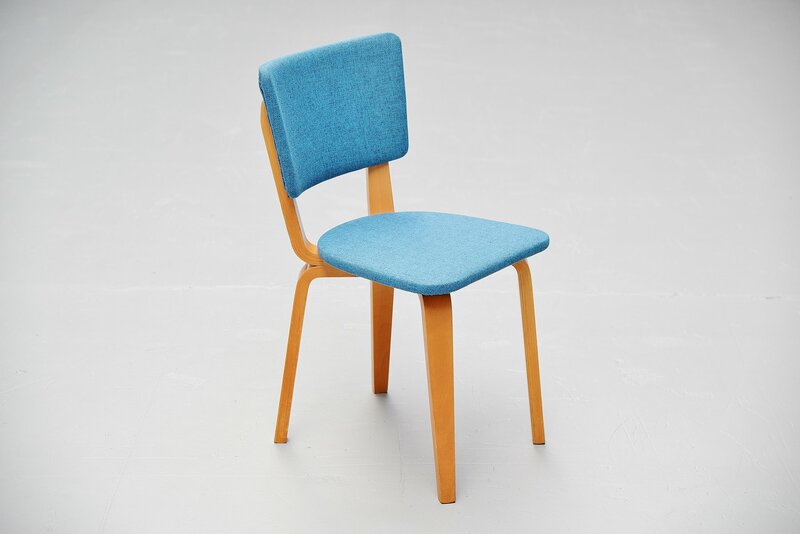 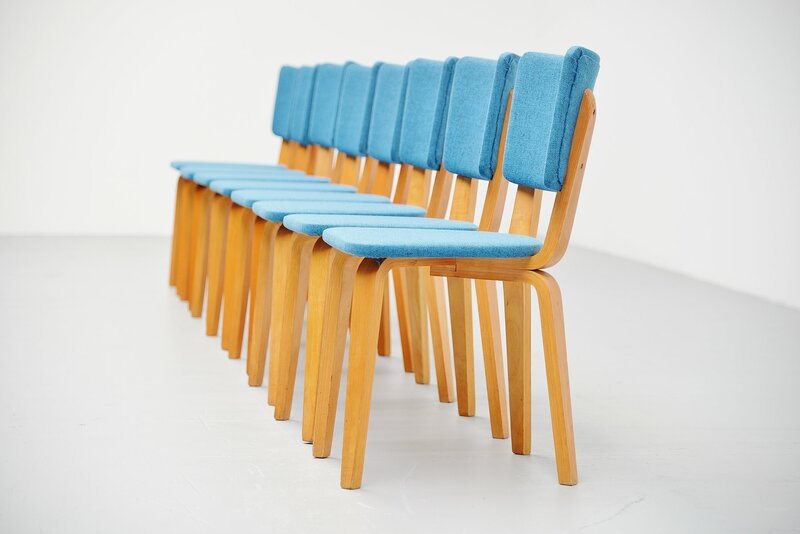 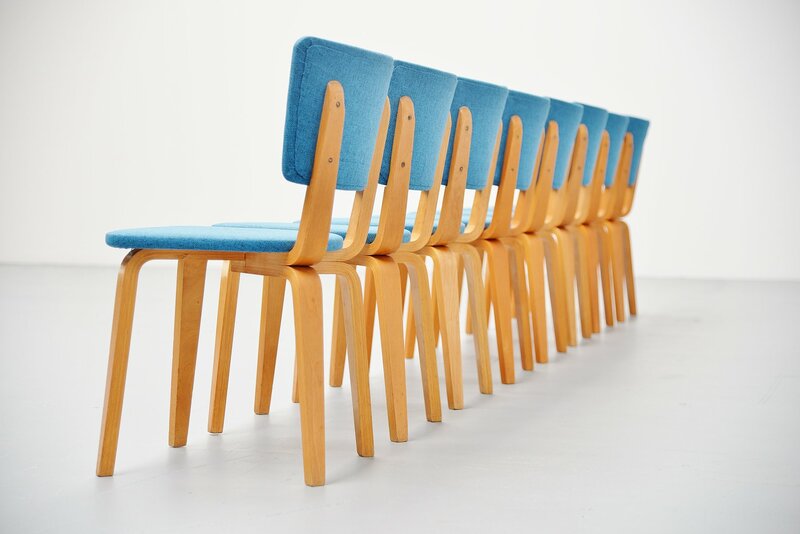 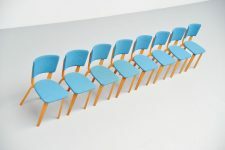 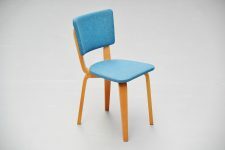 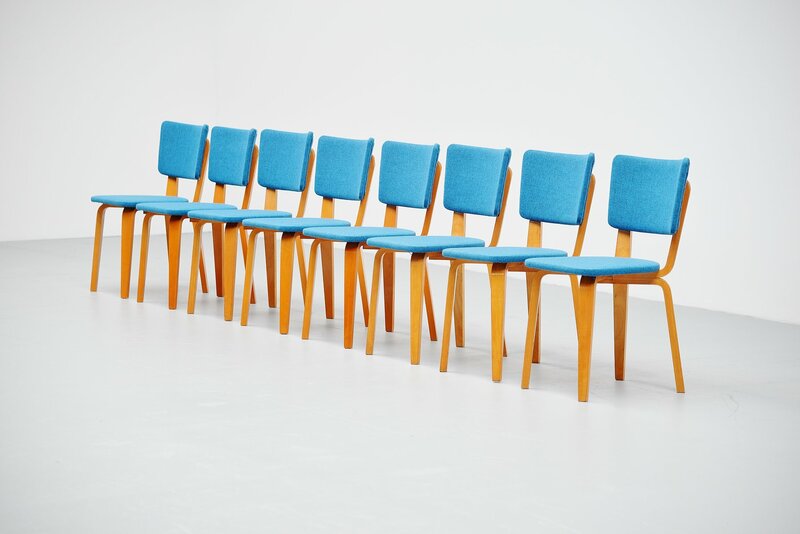 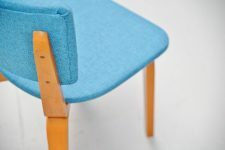 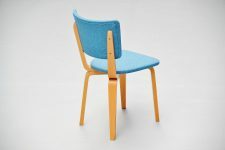 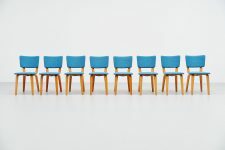 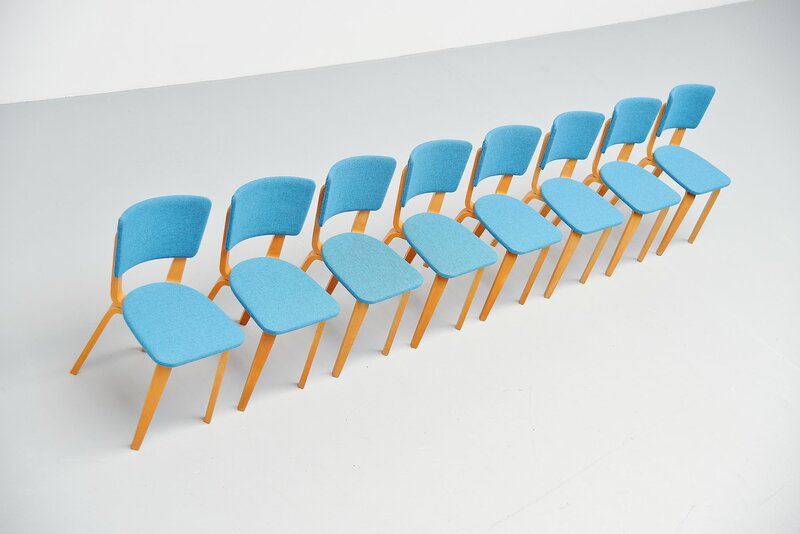 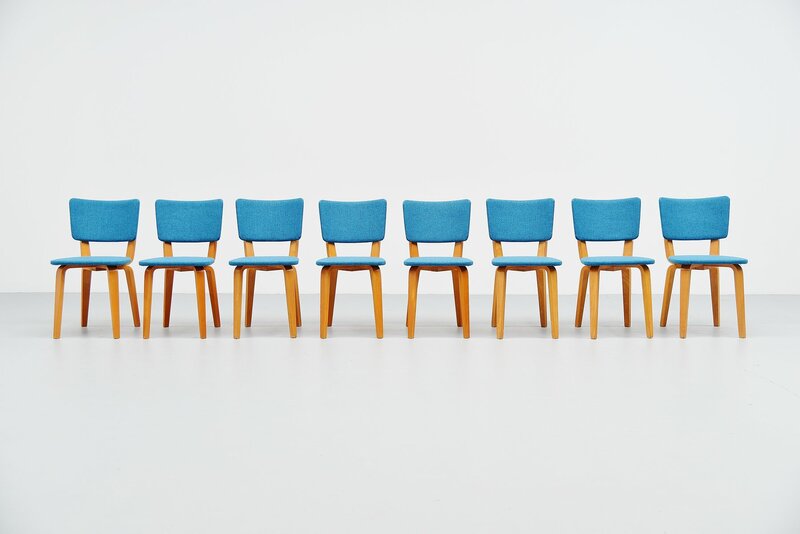 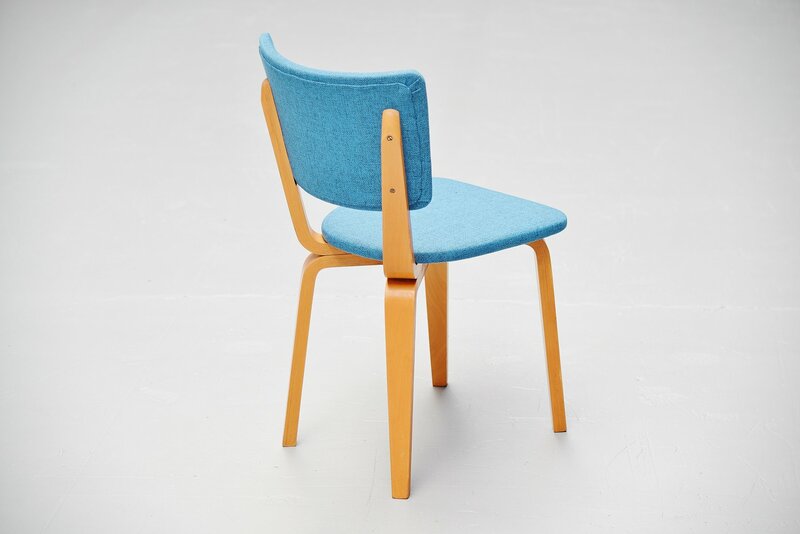 These chairs have birch plywood legs and are new upholstered with blue fabric. 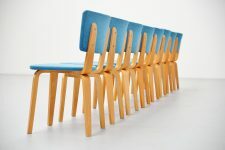 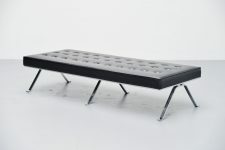 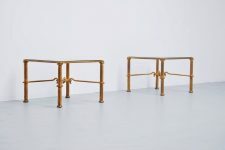 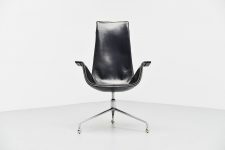 The chairs are comfortable and very sturdy, fully checked. 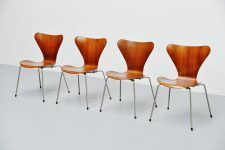 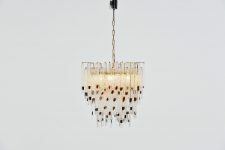 Hard to find in a large and matching set of 8 chairs.